Here we go again with a restaurant location that either made a deal with the devil or is just plain cursed. At the corner of 29th and Boundary, we find a random strip mall that houses a few businesses and one sole eating establishment. It has been many things and most recently has been James Street Cafe, 29th Ave Cafe and Sushi Miga. Heck, I didn't even have a chance to eat at Miga! 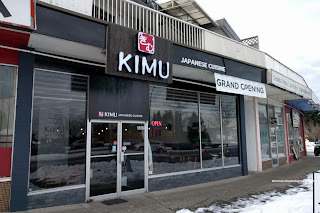 Apparently the newest tenant, Kimu Japanese Cuisine, has been getting positive reviews. Could it be something that will last??? Well, Viv, myself and the kiddies went there for our latest adventure. Whenever we go for Japanese, it almost seems like my daughter dictates what we order. Hence, it was a plate of Deluxe Assorted Sashimi consisting of hamachi, albacore tuna, Atlantic salmon, tai, hokkigai and tako. 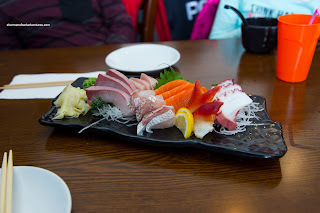 As evidenced in the picture, the slices of fish were vibrant with a beautiful sheen. It ate as good as it looked with a bright sweetness (the hamachi and tai were the best). For some reason, the hokkigai was rather salty though. We weren't as impressed with the Gyoza though as they were deep-fried pretty aggressively. We would've much preferred the pan-seared version. We found the dumpling skin to be too thick and pretty greasy too. Although deep fried too, the Assorted Tempura was not too greasy though. 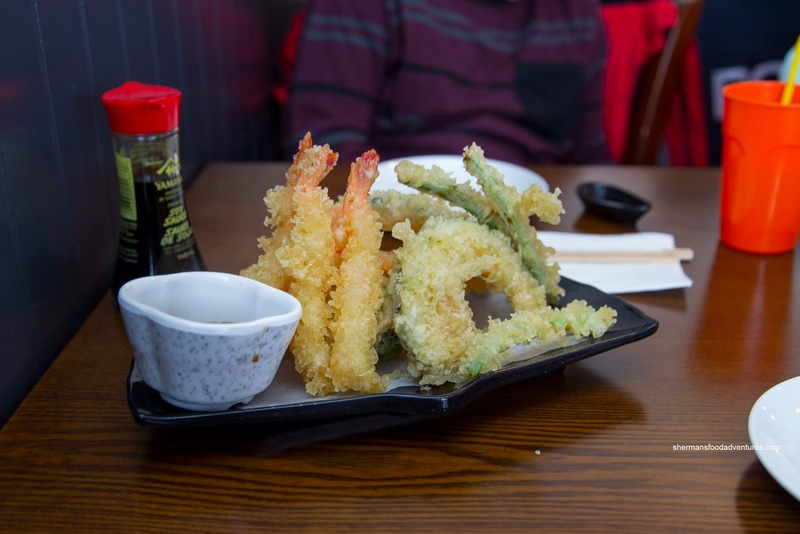 We thought the amount of batter was just right where the exterior was appealingly crunchy while the veggies and ebi were on point. I particularly enjoyed the green beans the most as they were still somewhat firm while cooked all-the-way-through. 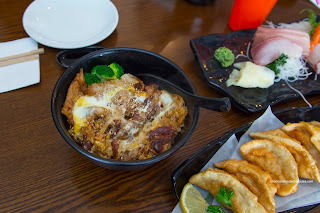 Next up was an interesting interpretation of an Oyako-Don. For this version, the chicken was pan-seared and aggressively seasoned. Nothing wrong with the flavours as they were sweet, salty and impactful while completely soaking the chewy rice. However, the chicken itself was mostly dried out and rather chewy. We would've enjoyed this more if the chicken was not prepared in this manner. 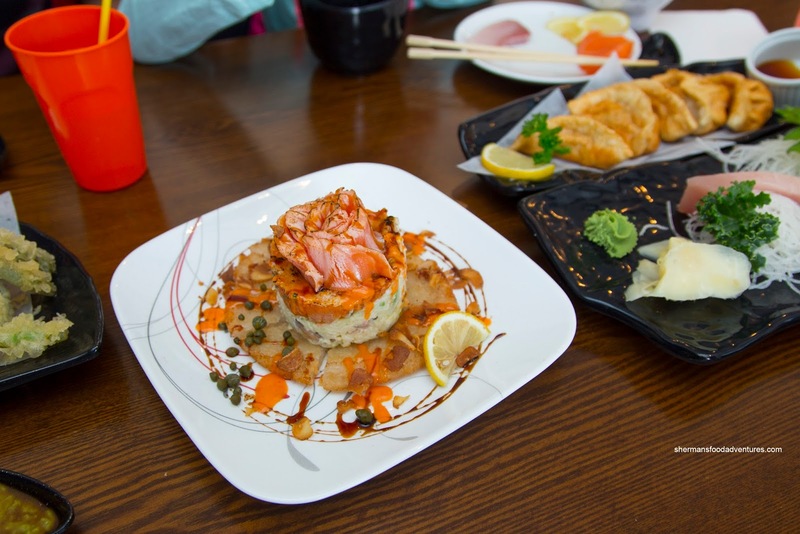 The most visually appealing dish was the Sushi Cake featuring a deep fried sushi rice cake topped with a mix of imitation crab, marinated shiitake mushrooms and avocado. This was further topped with a spicy tuna mix and then by torched salmon and tobiko with spicy mayo. Capers, garlic chips, BBQ sauce and balsamic reduction completed the dish. There was a lot going on here and in some ways, too much. I found the imitation crab mixture too creamy while the mushrooms were too sweet and salty. The flavours were good, but not in balance. 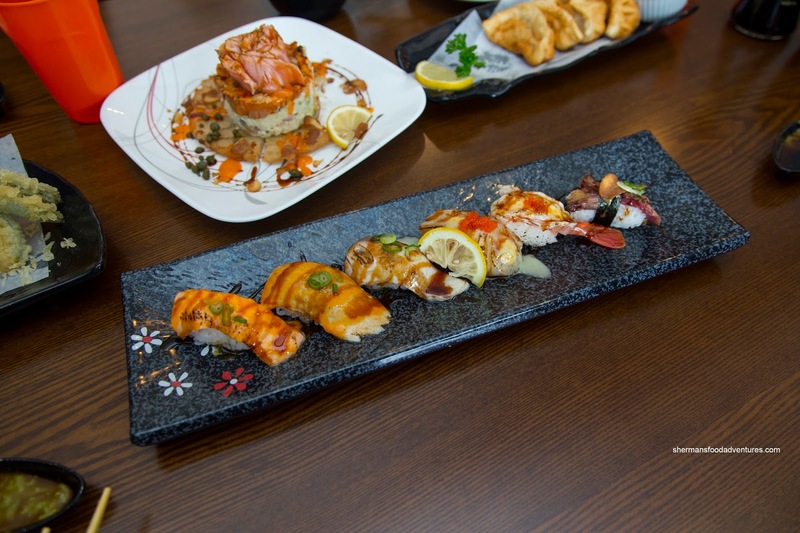 Hence, the tuna and salmon were pretty much only a textural entity when faced with the competing flavours. Lastly, we had the Aburi Sushi Combo that featured salmon, tuna, mackerel, hotate, ebi and beef. We enjoyed the fish-to-rice ratio as well as the sushi rice itself (lightly seasoned and chewy without being dry). The sauces on top were generally subtle while not bland and not overly creamy. 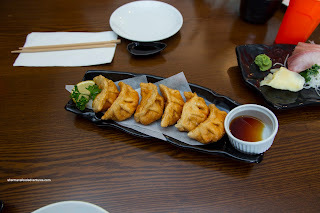 Our favourites of bunch was the buttery hotate and ebi. However, the beef was really chewy and not appealing at all to eat. Overall, the food at Kimu appeared to be prepared carefully and with skill. On the other hand, some things looked way better than how they actually ate. With that being said, it is worth a revisit as the ingredients they use are good. My favourite is their sushi pizza.